1946 May Queen Celebration at Ontario Ladies College. 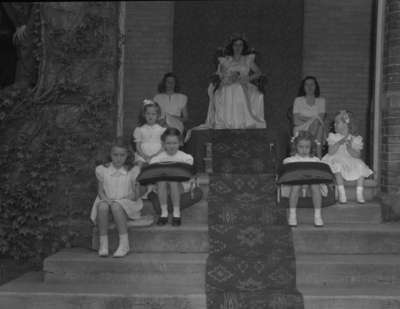 May Queen in 1946 was Darlene Cornell. May Queen Celebration 1946, 1946, Marjorie Ruddy. Whitby Archives A2013_040_1105.